Do you know what season it is? With cool, rainy weather and falling leaves already making appearances throughout much of the U.S., it looks like autumn is getting an early start. Not that we’re complaining. Who doesn’t love fall with its vibrant colors, warm sweaters, crisp air—and yes, even its spiced lattes. It’s a sensory wonderland out there, which is also why it’s a powerful season for advertisers, marketers, and creatives who know how to tap into it. Looking to channel a little of this magic yourself? 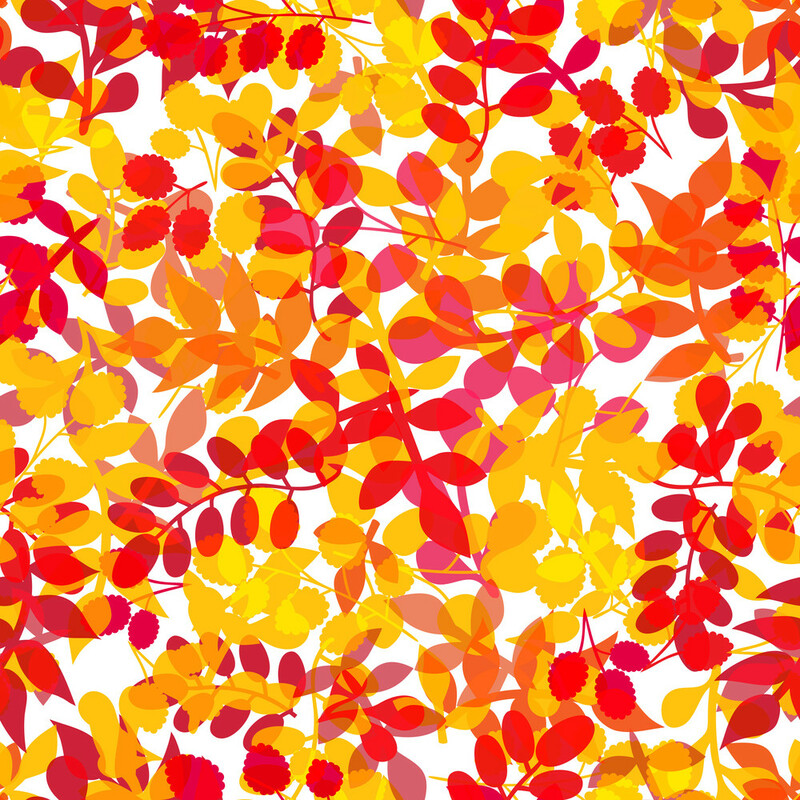 Here are a few tips for using fall leaves vectors to transform your creative and grab attention. Visual cues that evoke warmth or nostalgia—such as sweaters, warm drinks, and changing leaves—can create powerful and authentic emotional connections between audiences and your brand or product. At the same time, autumn hues like red, yellow, and orange are commanding and inspiring. Don’t believe us? Our Beginner’s Guide to Color Theory explains how color choice impacts viewer perception. Or simply think about how the colors and tones of this fall vector pattern from our library evokes positive emotions like happiness and warmth. These essential cues are just what you need to if you’re looking to tap into the creative advertising magic of the season. Not certain quite how to do that? We’ve put together a few simple but impactful examples of how fall graphics can elevate your brand and marketing creative. Sometimes subtle just won’t do, and fall is one of those times—after all, Mother Nature doesn’t hide her colors, so why should your designs? Let your visuals speak for themselves and don’t be afraid to go big. Add them to business cards, branded swag, websites, or print advertising like this patterned leaf vector. Even the most practical marketers understand that fall is an emotional and nostalgic time of year—perhaps it’s the way back-to-school season brings up childhood memories, or perhaps it’s the nearness of traditional family holidays. Whatever the reason, autumn is the perfect season for nostalgic creative like this brightly labeled craft paper. Whether you’re marketing yourself or your newest product, fall designs and colors add personality and friendliness to your branding while inspiring feel-good vibes. We’ve used one of our favorite golden vector frames to add subtle, warm accents to this bottle label. Fall is all about texture and the tactile senses—just think of soft sweaters, warm drinks, crunchy leaves, and the many, many other organic patterns of the season. Great marketing capitalizes on this, drawing on comforting natural textures like this seamless leaf pattern to evoke a mellowed, comforting tone that resonates with audiences and customers. So how about it, are you ready for fall? Better yet, are you ready to capture your own fall design magic? Grab yourself your favorite spiced latte and download each of these vector files from our new Fall Graphics collection—or discover more autumn inspired images in our library.